This compact digital camera runs on DIGIC 4+ image processor combine with 20 MP camera sensor with optical zoom up to 8x to shoot images in 14 modes. The lowest price of Canon IXUS 185 is P4,559.99 at EXPANSYS, which is 81% less than the cost of IXUS 185 at Lazada (P23,975). 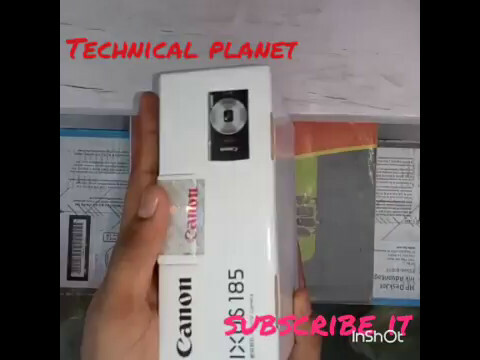 The latest price of Canon IXUS 185 was updated on Apr 19, 2019, 16:47. This Canon IXUS 185: An Entry Level Digital Camera: It is a fashionable, compact camera that makes it simple and easy to shoot high-quality photos and movies. The Canon IXUS 185 is a compact and lightest digital camera. It has a glossy finish that fits comfortably in your palm. The camera has a flat surface which is a typical appearance for cameras but because of its small size and lightweight, it is not difficult to operate it without a grip. It measures at 95.2 x 22.1 x 54.3 mm and weighs at 111 grams. The front of the camera has the 10x zooms lens. It retracts fully into the body despite the width of the camera is roughly the same width as an adult finger. At the back of the camera, you will the see its LCD screen. Specification of the screen is basic but still gets the job done despite having some obvious drawbacks. One of those is the strange color cast that appears on the screen when you are shooting in low light conditions. It has no connectivity features so you need to manually transfer files through supported computers only. The camera is available in black, silver, and red in color. It has a 2.7-inch full LCD touchscreen with approximately 230k-dot resolution. It supports built-in flash, autofocus, continuous shooting at .8 shots/sec and Digital Image Stabilization. It can recall all images at a glance through the date stamp feature. You will easily see date and time on the images using the digital camera. It is a 20 Megapixel Point and Shoots camera equipped with an advanced Digic 4+ processor. This helps in improving the image processing quality and 1/2.3-inch CCD Sensor that captures the high-quality images with brilliant colors and contrast value. It comes with an 8X Optical zoom power that lets you zoom to your subjects and features the zoom plus technology that enables you to extend the zooming capability of this device up to16X to capture far-off objects with further detail. There are also different shooting modes that you can choose when using this Canon Ixus 185 camera, it has the AUTO, P, Digital IS, Portrait, Low Light, Fish-eye Effect, Face Self-timer, Miniature Effect, Toy Camera Effect, Super Vivid, Poster Effect, Monochrome, Snow, Fireworks and Long Shutter. It even supports the aperture range from f3.2 to f9, ISO sensitivity of 100 to 800 which makes it easier to take shots in low light conditions. It can be operated with the PC & Macintosh. You can choose to use Windows 10 / 8.1 / 8 / 7 SP1 8 or Mac OS X 10.9 / 10.10 / 10.11 / 10.12. It has the software under the Camera Window DC which is commonly used by digital cameras under Windows. It is supported with a JPEG file and with the types of memory card SD, SDHC, and SDXC. It is using a rechargeable Li-ion battery NB-11L / NB-11LH. When it comes with its battery life, the battery stays for 285 shots into context by comparing it to the average of other point and shoot cameras and other point and shoot cameras with the 1/2.3″ sensor. It is very light and easy to carry around inside your purse or bag. It has a Versatile 8x optical zoom lens. Its images are in HD quality so you truly get a premium photo out from this digital camera. It even has added features that are not available in other digital cameras. Sadly, it has no connectivity options available which could have been great as part of innovative features. It only has an average battery life, it is not as reliable as you think it is. Canon is known to be one of the leading companies of industrial digital imaging solutions, consumer, and business-to-business to the United States and to Latin America and the Caribbean markets. The company is founded in New York Branch and was established in 1955 and formally incorporated as Canon U.S.A., Inc. in 1965. Its Corporate Headquarters is located in Melville, New York. Canon is one of the most popular brands when it comes to digital imaging in the Philippines. It is known to be widely used by all Filipinos through the years. It has shown its reliability and quality to all its products. 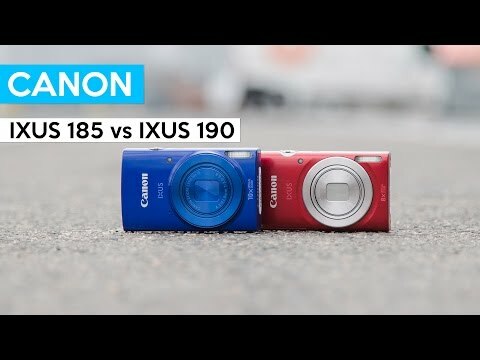 Canon Ixus 185 is one of the top choices when it comes with a digital camera and it is commonly used by Filipinos of any age. It is one compact digital camera that perfectly captures great quality images. Hi mga guys..koting katanungan lang, paano po ba yung tricks/tips or mga dapat gawin kung yung mga pictures ay blurry at wala sa focus?Thank you. same po ba ang given na warranty for all Cannon products? or sa lahat ng digi cameras?